Are we talking about just another dual strand, open center, palletized conveyor system???? Glide-Line is Easy. Flexible. Precise. Fast. 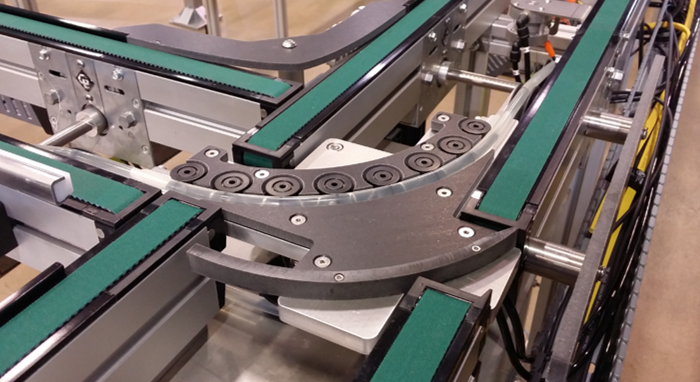 Glide-Line was born from a conveyor system manufacturer that understood the market’s needs and knew they could do better by providing flexibility, faster deliveries, easy to use yet powerful design tools, a commitment to customer satisfaction and ROI. IMPACT – Excel based configuration tool, dynamically updating capacities and limits in real time upon changes in speeds, weights, gear box selections, etc. Dynamic integration between IMPACT and SolidWorks – dual direction sync of the model and the configuration file. Design your system within minutes, complete with capacities, loads, mating features and pricing! 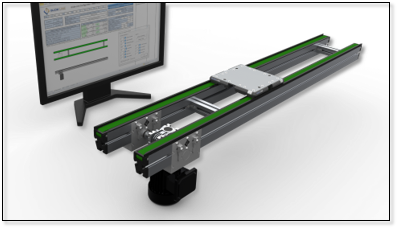 Need to adjust a length or motor position within Solidworks – it will automatically update in IMPACT – and vice versa. Call us to schedule a demo of IMPACT or to review your application.